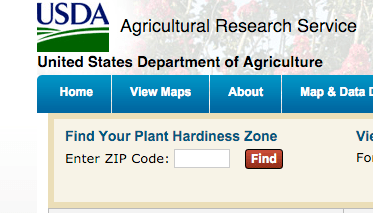 Sabine pointed out to me that giving everyone a link to the USDA site would be handy – and she was right! Once you navigate there look for the “Enter ZIP code:” box at the upper left. Previous Previous post: Welcome to the Garden! Next Next post: What sort of hosting is best?